Past examples include redevelopment of Burns Block, where low-income tenants were evicted illegally with little notice. The eviction occurred weeks before the 2008 election, with all NPA and Vision councilors voting to allow the eviction. The Vision administration then worked with the developer to convert the units into “micro-lofts.” At the American Hotel, residents were also illegally evicted, and Vision directed the planning department to help the new developer convert the units into market rental. It is a similar story at 334 Carrall, the soon to be built “21 Doors” project. Vision’s defense is that these evictions took place between 2005 – 2008. But under Vision’s last term, we experienced the eviction of residents from the Golden Crown, the Argyle, and other low-income hotels around Woodward’s — to name a few. We can expect the Vision council to work with developers to convert more buildings into unaffordable, market housing. This week, only days after the developer victory at City Hall, low-income residents of the Yale hotel were given eviction notices, expected to vacate by December 1st. The Mayor has taken stance of impotence against these and other evictions. He has argued that the City is “not able to protect the renters the way we should without flouting the laws.” This stance is simply a deferral of blame onto the BC government, and it means there will be nothing in place to stop people being forced out of their homes. It is in the interest of the development monopoly, and its councilors at city hall, to keep rents as high as possible. This is why we can expect rents to continue to rise, further inflating our unsustainable housing bubble. 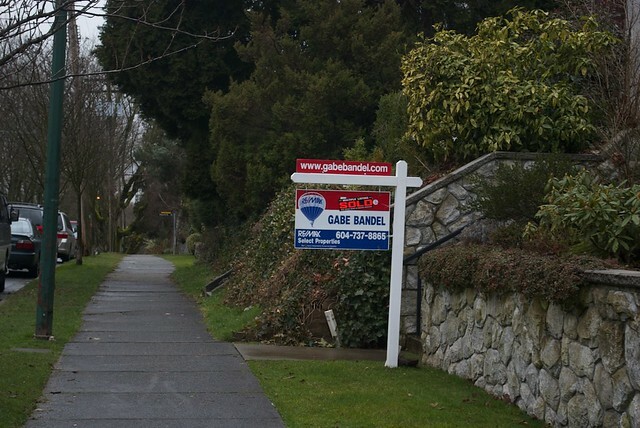 About half of all condominiums in Vancouver are bought as investment properties and rented out, and their selling-price is based on the rent that can be expected from tenants. During the campaign, Vision and the NPA claimed that their affordability strategy was to build more market rental units so as to decrease rents through an increase in supply. As supply increases, prices will fall — or so the classical economic tale goes. But this would be an absolute disaster for developers. If rents decrease, where will already-overly indebted investors get the extra money to make their mortgage payments? When investors start defaulting or selling because they can’t pay their mortgage, the housing market crashes, as it did in the United States. We predict that NPA-Vision will do everything in its power to ensure that rents will increase. In other words, they will not increase the supply of affordable housing, but rather allow developers to build unaffordable condos in place of affordable housing. Vision will continue with its implementation of the NPA’s tax shift policy from businesses to residents. Vision has said we need to lower corporate taxes to keep our city attractive to investment and new businesses. Despite the reign of a ten year neoliberal regime at the Provincial level, Gregor campaigned on tax breaks for businesses in addition to those brought in by Gordon Campbell. Vision also takes pride in their track record of earning the lowest combined business tax rate of any major city. Andrea Reimer described the Vision strategy best when she described the party’s past record: “globally-competitive tax rates are giving local startups and small businesses an early edge, establishing Vancouver as a leading centre for innovation and entrepreneurship.” Lowering taxes as a means to create jobs is neoliberal ideology. Youth in BC are under heavy pressure. Unemployment in BC has increased from 4.6% to 7.6% over the past three years. The Short Term Incentives for Rental (STIR) program — which gives tax breaks to developers to build housing that is indistinguishable from what they would build anyways — will be refined and probably even strengthened in favour of developer profits when it comes up for renewal in December. This despite the fact that STIR was designed as a stimulus package for developers who had stopped building in the wake of the housing crash of 2008, but who have now resumed building expensive units. Finally, we can expect to see a lot of long, drawn-out public hearings. Over the past three years, these became almost routine, some going as late as two in the morning. Vision Vancouver is regularly condescending toward residents. The success of Neighbourhoods for a Sustainable Vancouver (NSV) is a testament to the frustration faced by citizens. NSV ran on a platform of neighbourhood inclusivity in development. The 20,000 votes they achieved were from residents who’ve been following municipal politics enough to recognize the party’s name and the issues they fought for. Geoff Meggs’ personal catch-phrase through the last term was, “The consultation was the election.” He forgot to mention that the election was bought by developers. We can expect a significant amount of grassroots citizen organizing against the municipal government. Because of Vision and the NPA’s disdain for consultation and democracy, residents won’t really have a choice if they want to have their voice heard. A good example of this disdain is ‘structures by-law’ that was passed by council this past summer. It was opposed unanimously by citizens and non-profit organizations, including the Vancouver Public Space Network and the BC Civil Liberties Association, who told council that it was unconstitutional, and are taking the case to the Supreme Court. Instead of asking City Hall, residents will have to look elsewhere for results. Vancouver has a rich history of civil disobedience, whether protests to stop the destruction of Chinatown to build a highway, or occupations to stop development at the gates to Stanley Park. These protests came about in political climates similar to our own — when City Council implemented a top-down developer agenda, and acted as though it knew better than residents. For now we might be able to celebrate the defeat of the right-wing NPA, but only until we return to business-as-usual with the first council meeting of the Vision-NPA majority in December. Posted in Analysis, City Hall, Election 2011, Housing. Bookmark the permalink. Yeah, but that street car would have been really bad!